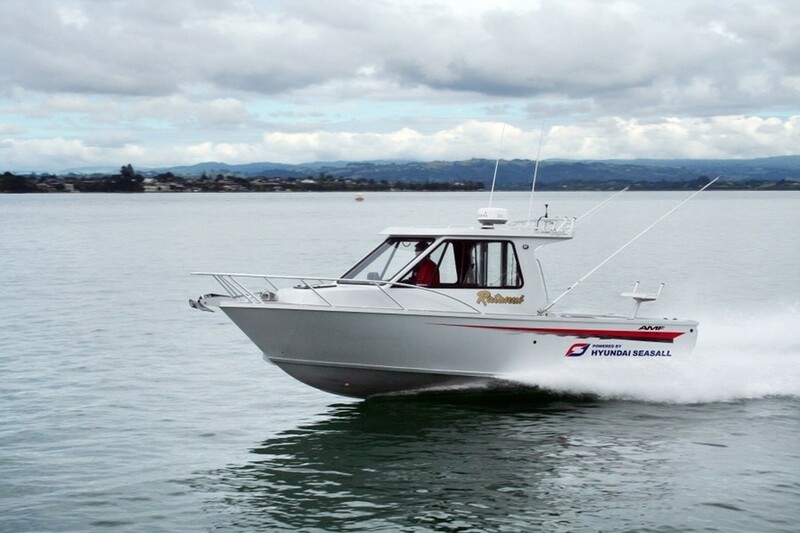 The boat, built for a repeat AMF customer and is the first 720 Pro Sport built with a diesel sterndrive. 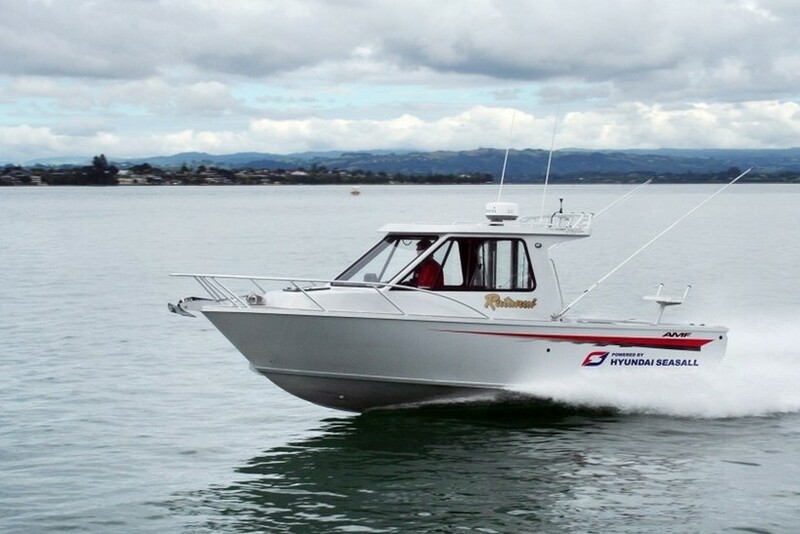 The boat is to be used extensively off the Tauranga Coast, and even going as far as Waihau Bay on the upper East Coast, and will be used primarily for game fishing, trolling and bottom fishing. Since being launched in early January, the boat and engine has accumulated 46 hours of running time and used an average of 10L/hr of fuel. The S250 Hyundai SeasAll marine diesel powers the 720 Pro Sport to 37 knots @3800rpm and using just 37.8L/H. At a trolling speed of around 6.5knots @1000rpm, the S250 Hyundai SeasAll consumes 2.5L/H of diesel. The Hyundai SeasAll S250, is a 3.0L V6 Common Rail diesel and produces 250hp @3800rpm and 490nm of torque @ 2500rpm. On the 720 Pro Sport it is coupled with a MerCruiser Bravo III sternleg. Brian Collings of AMF Boats says the acceleration and power to weight ratio of the Hyundai S250 is and is one of the most impressive attributes of the engine. “The figures are certainly the best I’ve seen for quite sometime, the engine is very lightweight and delivers great torque and power right through the rev range. There’s certainly no turbo lag from when you put the throttle down, the power comes on very quickly,” says Collings. Hyundai SeasAll Business Development Manager, Mark Harrison says the AMF 720/S250 results were very pleasing and matched all expectations. “At the core of Hyundai SeasAll’s diesel technology is performance, fuel efficiency and reliability. We expected this boat and engine combination to set some performance benchmarks and to become a class leader, it certainly has delivered,” says Harrison. Harrison says the availability of fuel at wharfs is a contributing factor in people’s decisions to use diesel engines in vessels. Currently there are two engine series in the Hyundai SeasAll range, the V6 S-Series and the four-cylinder D-Series, with more engines to join the range later in the year.